In stores now! This Side Up! Mordechai Schmutter is a freelance writer, which means that he’s available for weddings, bar mitzvahs, and any event where you want your guests to sit around and watch someone write. He can also write speeches for said events, as well as various other copies for businesses, entertainment purposes, and personal use. He spends a lot of his time standing in front of a classroom and trying to convince high school students to let him teach them to write. 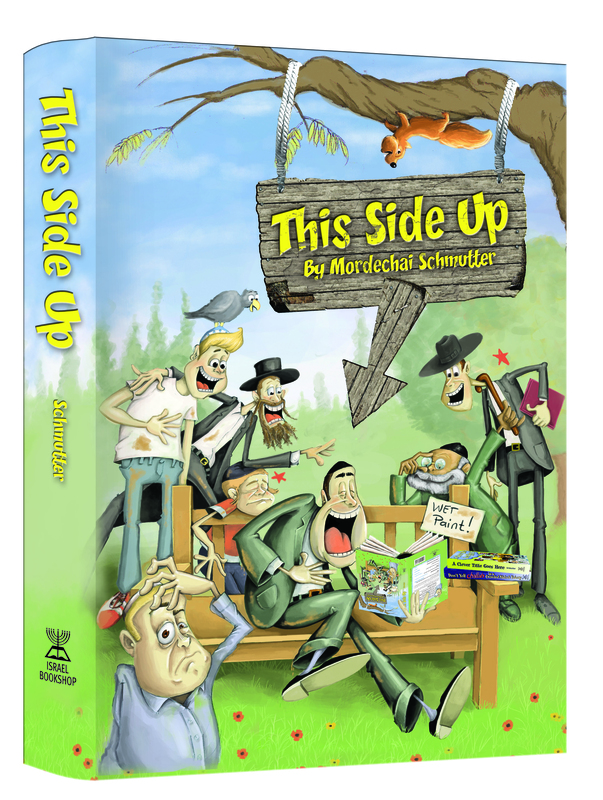 Mordechai is also the author of the books, Don’t Yell “Challah!” in a Crowded Matzah Bakery, A Clever Title Goes Here, and a brand new release, This Side Up! which can be purchased online by clicking here. We are lucky to live in an age (29, if anyone asks) where we have tons of inventions to make Jewish life easier, such as shtenders and Havdalah candles and seedless watermelon. We also have gefilte fish, which was created so that people could avoid picking out bones on Shabbos. I think that’s amazing. I mean, people didn’t like picking seeds out of the watermelons either, but no one decided to take them apart, pull out the seeds, grind up the rest and serve them in loaves with a piece of carrot on top. Sukkos, in particular, has a lot of inventions associated with it, and they come out with ten new ones every year, kind of like they do on Pesach with Haggados. Also chumros. There’s a whole lot more to the Sephardic legacy than some hot and spicy, Middle-Eastern recipes for s’chug and kibbeh! It’s no secret that Sephardic Jewry has a rich and unique heritage all of their own, with the crown jewels being the towering Sephardic hachamim whose holiness and greatness in Torah were renowned throughout the entire Jewish world. Now, with the release of Ben Ish Hai, you can get a close-up view of the life and times of one of the most famous of these gedolim: the Ben Ish Hai, Rabbenu Yosef Haim. Author Yehuda Azoulay has long been known for his beautiful books on the Sephardic hachamim. As the author of A Legacy of Leaders Volumes I and II, as well as founder of the Sephardic Legacy Series, he has made it his goal to make known to the Jewish world the greatness of our Sephardic Torah leaders. In Ben Ish Hai, Azoulay paints an accurate and vivid portrait of the Ben Ish Hai in a most compelling way. You’ll be amazed at the life of this holy tzaddik; the brilliance of his halachic responsa, his prolific writings, his humility, yiras Shamayim, and ruah hakodesh. 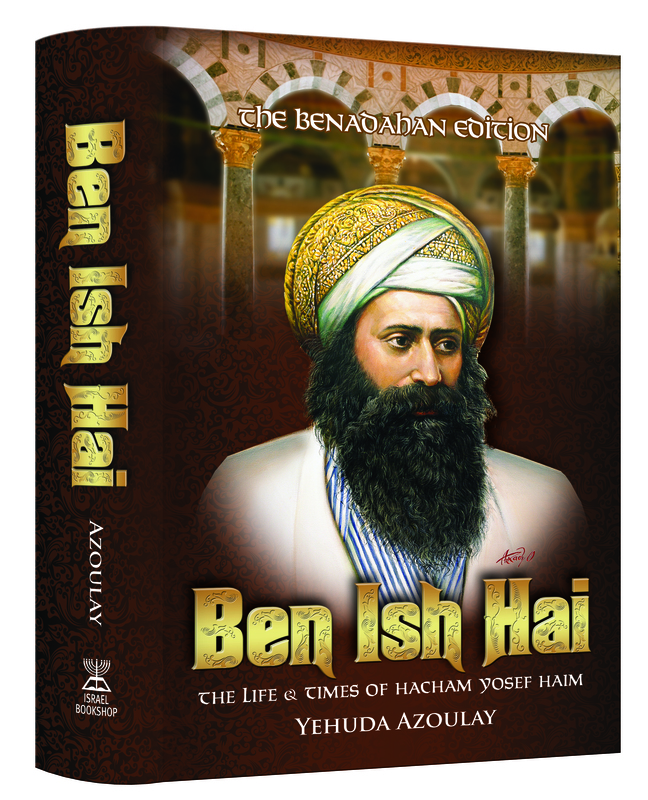 You’ll be awed by the stories you’ll read which depict the high level of holiness on which the Ben Ish Hai led his life. You’ll be enlightened, inspired…and proud to be part of the nation of this great man. Keep the spiritual high of the Yamim Noraim aflame. Invest in a book that will inspire you to no end—Ben Ish Hai. All those A Time to Laugh, A Time to Listen fans out there, take note! The third book in your favorite series has just been released! Following the much-loved style of his previous two books,A Time to Laugh, A Time to Listen Volumes 1 and 2, author Rabbi Yehoshua Kurland has once again written a book of essays on various aspects of Jewish life, each beginning with a great joke and then leading into a thought-provoking article brimming with Torah-true hashkafah and life lessons. 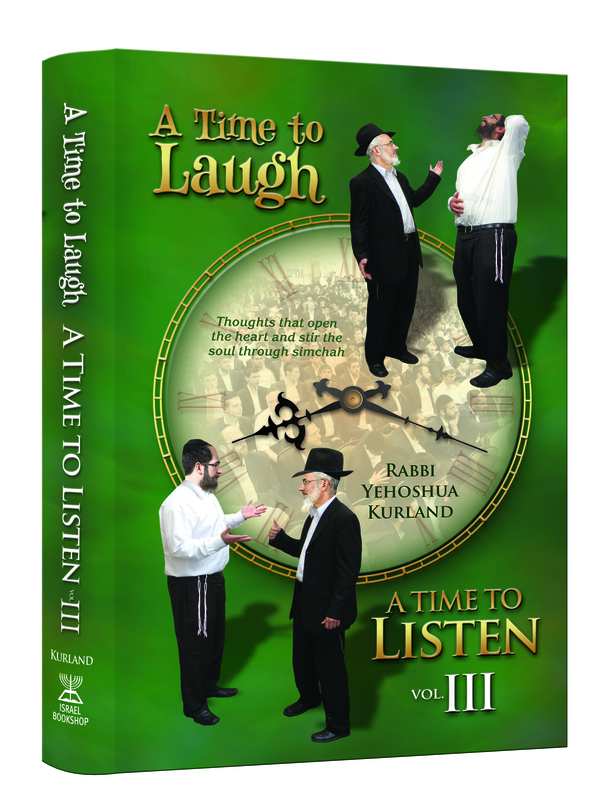 In true Rabbi Kurland fashion, A Time to Laugh, A Time to Listen Volume 3 will make you laugh, learn…and come away inspired. “One hundred dollars for three questions,” replied the lawyer. Israel Book Shop presents Chapter 25 of a new online serial novel, Beneath the Surface, by Esther Rapaport. Check back for a new chapter every Thursday or Friday. Click here for previous chapters. A young woman entered quietly. “Shoshana, are our cards ready?” she asked. Shoshana shook her head in the negative and motioned for her to wait as she continued conversing with the technician on the phone. “They’re urgent for Naomi. She asked for them right now,” the woman said, walking over to the lamination machine on a side table, near Adina’s chair. “Hello,” she said pleasantly as she caught Adina’s eye. Adina smiled in response, trying to understand the Hebrew words flying over her head. “I…can do it…the lamination,” Adina said quickly, and even before the young woman had a chance to react, she switched on the machine. As parents, few comments of our kids make us cringe the way announcements such as the above do. Of course, such comments are usually accompanied by loud stage-whispers and lots of finger-pointing at the handicapped child, as our kids struggle to comprehend such a different-looking human being. But what if our children understood that “different-looking” doesn’t necessarily mean “different”? What if they could accept the fact that those with handicaps can be just as fun, friendly, and on-the-ball as any of them? 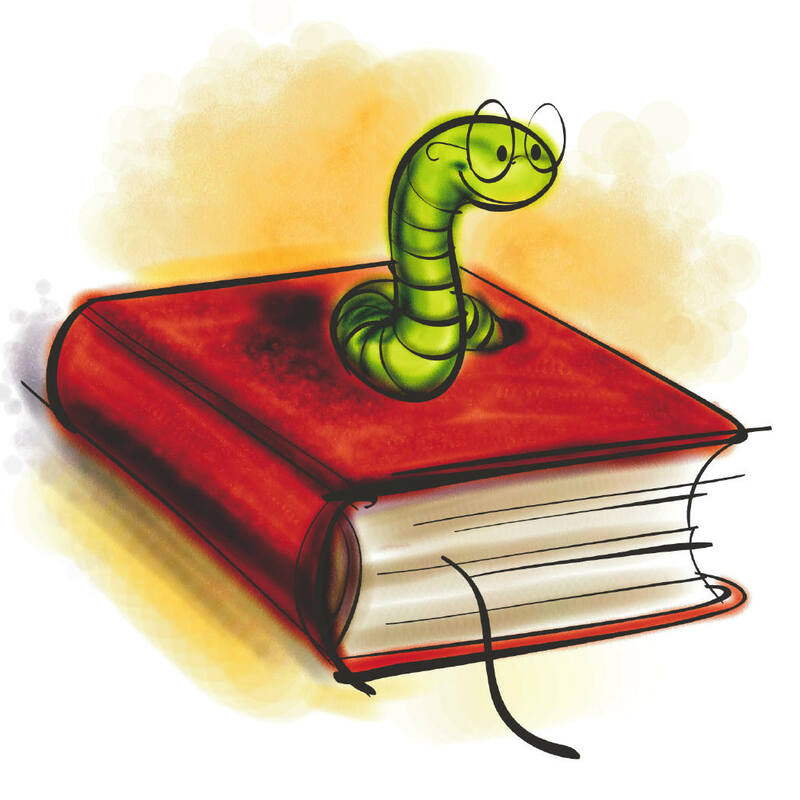 That is the aim of our newest kids’ book, Don’t Judge By What You See. An adorable story told in rhymes, Don’t Judge By What You See clearly conveys to children the important lesson of not judging those whom they see—especially those with physical handicaps—by their externals, but rather seeing people for who they truly are inside. 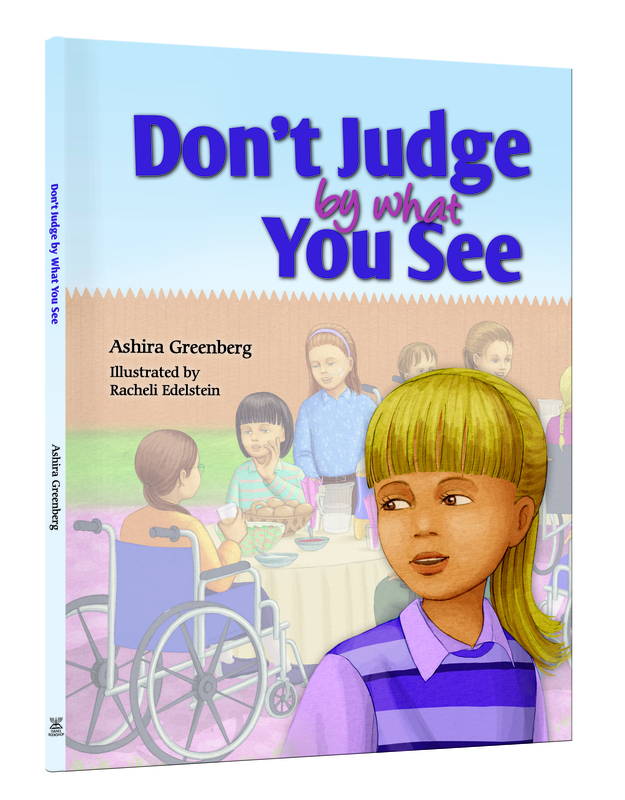 Written by Ashira Greenberg, who herself has cerebral palsy, and stunningly illustrated by artist Racheli Edelstein, this book is one that all responsible, thinking parents will want to buy for their children. It’s rare when a manuscript is so gut-wrenching yet simultaneously heartwarming, that it causes editors, proofreaders, and typesetters alike to cry while working on it. Rare—but it does occasionally occur, as it did with The Freedom to Be. Trust me—I speak from experience, having made the (unwise) decision to read this book at night. Suffice it to say that it was a very tired me who showed up at work the next day! This Sukkos, treat yourself to THE novel of the season…of the year…of our times. 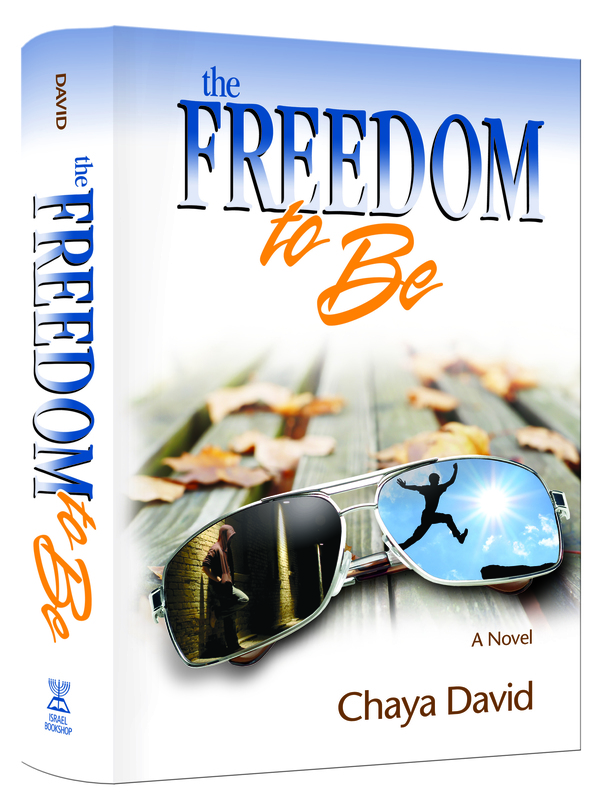 The Freedom to Be: not your ordinary novel.